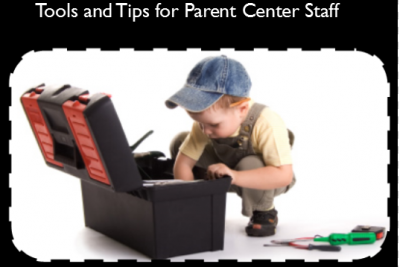 Military families with whom you are working or who contact your parent center might find the resources in this article very helpful. Included in this article is a link to a parent-friendly handout with the same resources. Resources focus on national-level services available in every state. There are also resource-finders for some of the most common military family needs, especially as they are entering or leaving a community. Some are military-specific while others are open to civilian and military alike. Read online, or download the article and parent handout. 10 Free Apps for Your Work With Military Families! All of the apps were created for military connected professionals, service members, or their families- they can also be useful for you. These apps can assist with stress and anxiety and provide ways to cope and relax: areas of expertise the military is keenly aware are needed for service members and their families. Check out our latest finds: PTSD Family Coach (from US Department of Veterans Affairs) and Breathe, Think, Do with Sesame (from Sesame Workshop). The Interstate Compact on Educational Opportunities for Military Children addresses the unique challenges that military children experience because of frequent Permanent Change of Station (PCS) moves. This document can help military families understand how the Interstate Compact works to help make moving and changing schools as simple as possible. Interstate Compact Military Presentation by Rick Masters, General Counsel for MIC3, the Military Interstate Children’s Compact Commission. Includes Question and Answer session about this important legal protection for military-connected children in public schools K-12. Includes a handout for military parents. Relocation (“PCS”) for Military Families-with handout! Relocation affects many aspects of life for military families including housing, nonmilitary spouse employment, schools and activities for children, childcare, and services for children with special needs.